I've been making (as much as is possible with River and her pooping ways) and have a few cool things to show you all, but I wanted to quickly blog about my upcoming big road trip. We're pretty excited in Chez Szabo as we're visiting some new areas in the States that neither of us have been to before, and I get to see the beauty that is British Columbia as well. First up, we land in Vegas where I was supposed to see Rod at Caesar's Palace. Unfortunately, that is a dream that is not to be this year (be still my tears), so instead we travel on to San Diego. 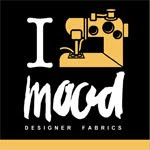 Next we'll be heading to LA, so I'll definitely be hitting up Mood. After that, some time in San Francisco until we venture up the coast towards Oregon stopping along the way. Next up, I'll be hyperventilating as we take a few days in Seattle. I am fulfilling my 14 year old self's fantasy and am so excited. I don't expect to actually end up in some kind of naked, group guitar playing, wine chugging soiree with Eddie and Stone (after all, I can't play guitar!) but I won't stop believing. After Seattle, we cross the ferry to Victoria to meet up with family. We'll have time in this area for me to explore too as well as time staying in Vancouver. It's then off to Ontario, which will include Mr Szabo's childhood camp and then some respite in Toronto for a week. If you'd like to meet up at any point, please let me know! Hope to see some new and familiar faces along the way.